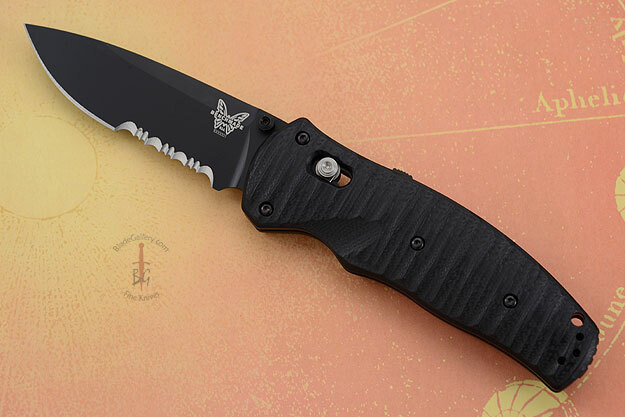 Description: The Volli is an impressive knife that features Benchmade's AXIS-Assist for quick, one-hand opening. 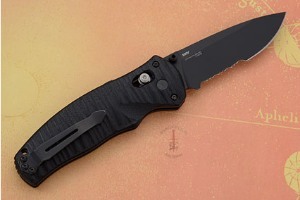 Just give the ambidextrous thumb stud a push and let the knife do the rest. An internal mechanism assists with the opening to make it super fast! 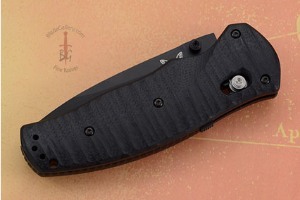 Designed for aesthetics as well as comfort in mind, the handle sports milled and contoured G10 scales, which sandwich a backspacer file worked for added grip. 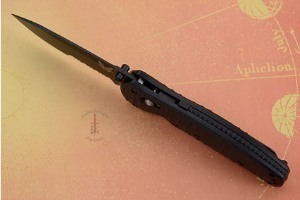 A secondary lock in the spine backs up the primary AXIS lock and allows the blade to be locked in the closed position. A slide is milled into both sides of the handles for convenient and simple thumbstud location. The drop point style blade is made from S30V stainless steel, is partially serrated, and is coated with a black Teflon finish, ensuring corrosion resistance and offering anti-glare assistance.